Borderlands 2, the popular action RPG video game developed by Gearbox Software and published by 2K Games, is now available on Linux / Steam OS. The game was ported to Linux by Aspyr Media, the company that ported Borderlands 2 to Mac back in 2012. For those not familiar with Borderlands 2, this is an action role-playing first-person shooter video game which uses the Unreal Engine 3. According to Wikipedia, the game was a financial success and with 8.5 million copies sold by February 2014, it's 2K Games' best-selling game. The game Steam page mentions that integrated Intel graphics and ATI graphics are currently unsupported for Borderlands 2 on Linux. Borderlands 2 costs $19.99 but there's a special promotion right now and you can buy the game for $4.99 (75% discount) for the next 32 hours: Borderlands 2 @ Steam. 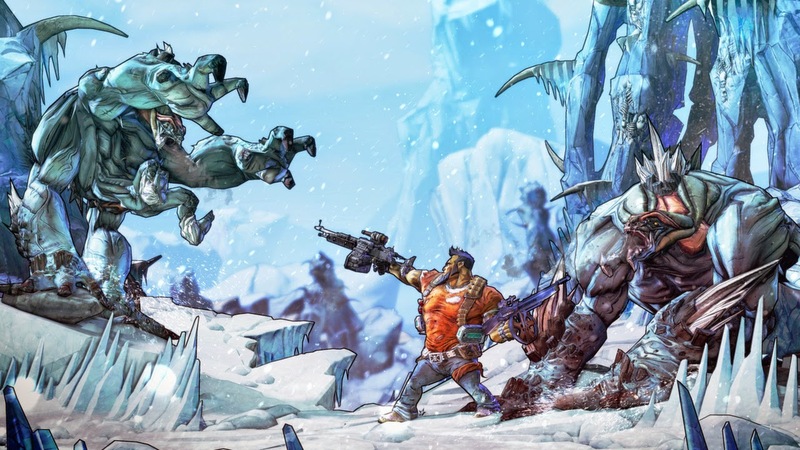 "Borderlands: The Pre-Sequel for Mac and Linux will offer full feature parity with the Windows PC version, including cross-platform multiplayer and SHiFT Support. Plus, Aspyr will be supporting all future DLC releases." You can pre-order Borderlands: The Pre-Sequel from GameAgent or the Steam store ($59.99).